Research is a key focus area for Volunteering Australia. Below are some examples of some of research projects Volunteering Australia has been a part of. 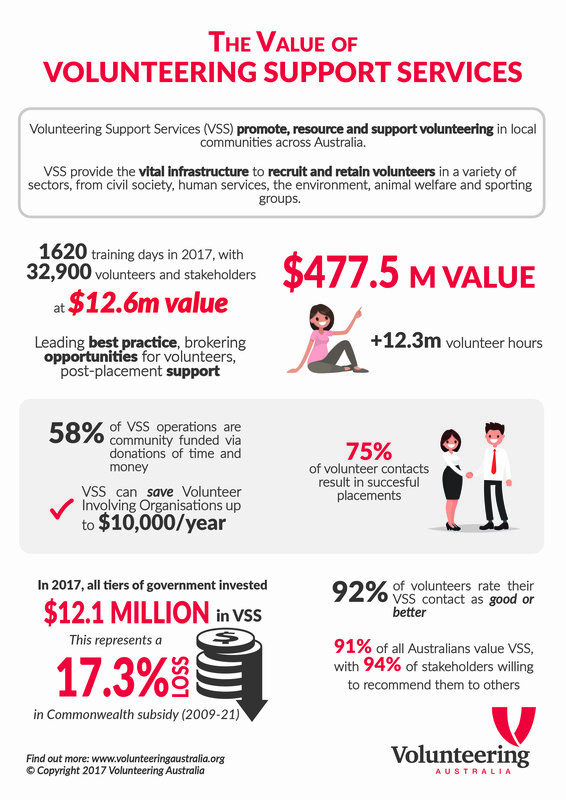 Volunteering Australia has partnered with the Institute of Project Management (IPM) to launch a comprehensive report on the value enabled by Volunteering Support Services (VSS) in Australia. This has been possible by our Foundation Members and Volunteering Support Services. 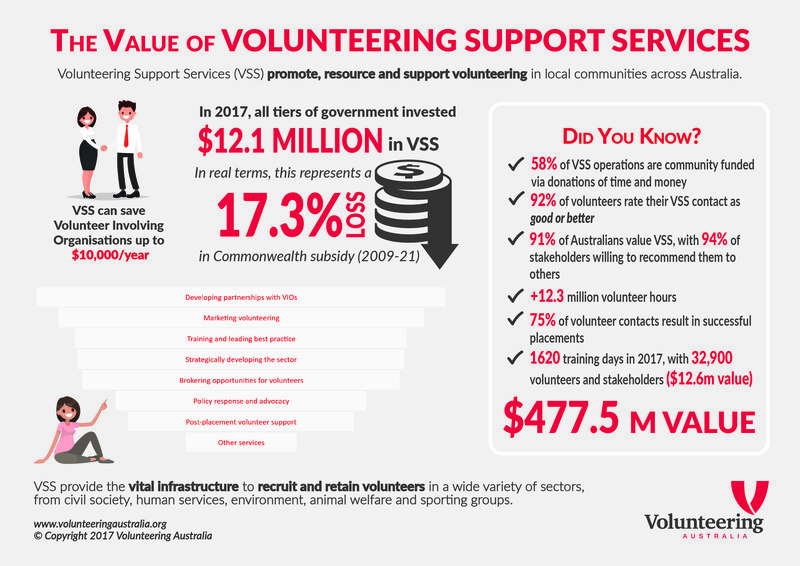 Benchmark the outcomes of Volunteering Support Services in Australia, to measure future performance and the impact of strategic changes. The preparation of the report will involve conducting a detailed review of relevant literature, consultations with key Volunteering Support Services, surveys, and engagement with the broader community on their benefits. Murdoch University, Volunteering Australia, Volunteering WA and other academic and government supporters launched the Volunteering to Learn website and resources found here at this link. University student volunteering is a practice adopted by universities to enhance student learning, yet little is known about the how and why of this learning. This project, “Volunteering to Learn: Enhancing learning in the student volunteering experience in Australian universities”, took place from 2013 – 2015. The project identified how universities, students and host organisations work together to enable successful outcomes for all parties. Good Practice Guides and Concept Guides have been developed from the project which identified three types of university student volunteers, four types of host organisations and eight models in operation across Australian universities. A Companion Guide has been developed to accompany the Good Practice and Concept Guides and to offer more information on some aspects of University Student Volunteering. Volunteering Australia provided support for the report into “Evaluating the volunteer infrastructure legacy of the Olympic Games: Sydney 2000 and London 2012“. The report examines how Olympic volunteer programmes can lead to post-Games volunteer legacies for host cities through engagement with the established volunteer infrastructure in host cities before, during and after the events. The report, published in 2016, was co-written by Dr Kirsten Holmes (Curtin & VWA), Assoc Prof Leonie Lockstone-Binney (William Anglis Institute & VV), Assoc. Prof Karen Smith ( Victoria University Wellington & VNZ) and Dr Richard Shipway (University of Bournemouth, UK).